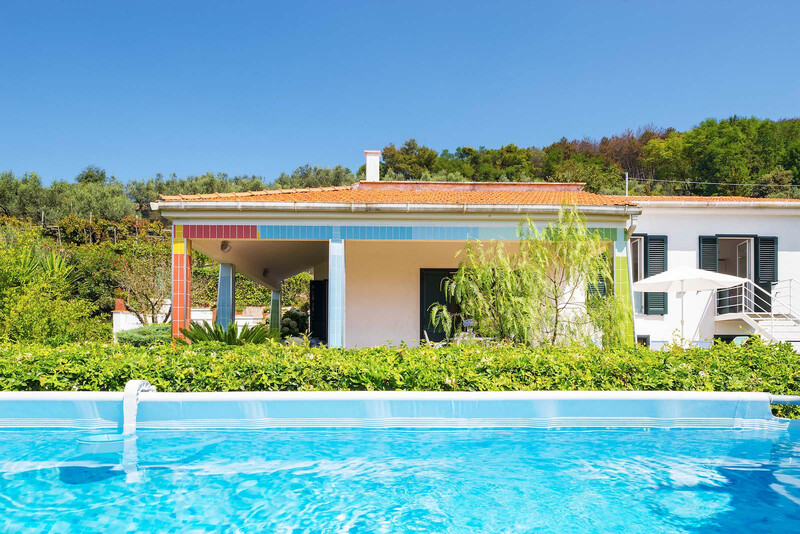 Nestled in the hills above Massa Lubrense, this delightful, architect-designed two-in-one villa is tranquil, bright and the perfect retreat for walkers keen to explore the rugged, unspoilt Campania countryside. Sleeps 8. 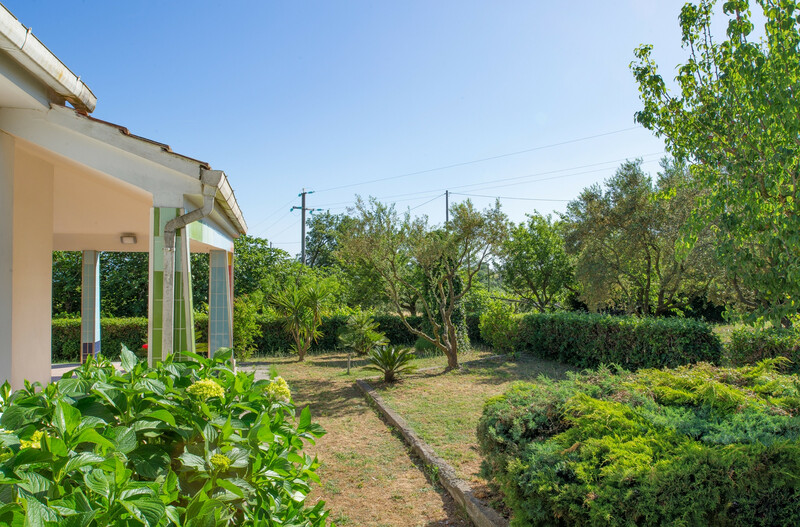 Villa Corinna is a tranquil, spacious villa in the magnificent countryside outside Massa Lubrense, with well-equipped, flexible accommodation, relaxing gardens and a private swimming pool. 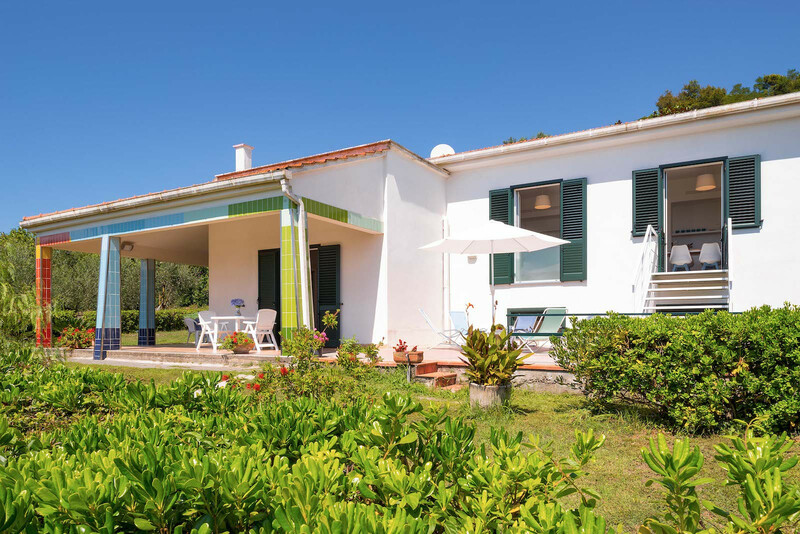 This special property comprises two adjoining villas which share tranquil, pretty gardens and a pool (this measures 2 m x 6 m and is 1.2 m deep). 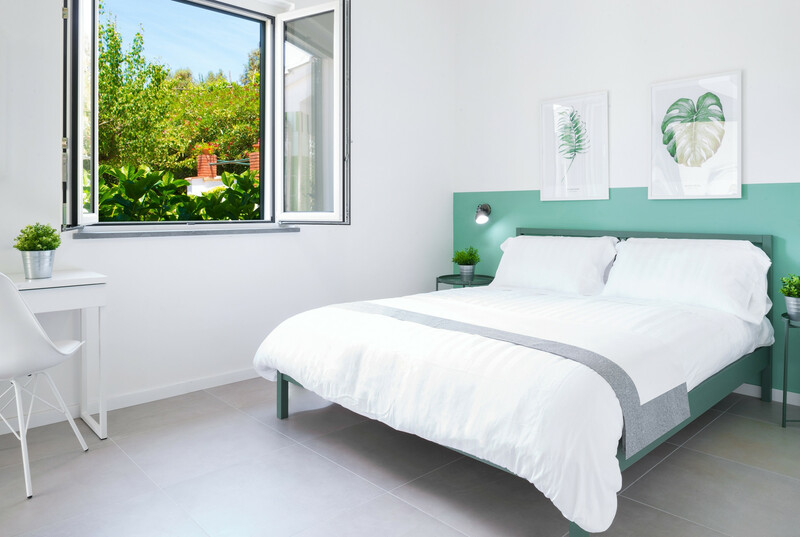 Both villas are spacious, bright and airy, with comfortable and stylish furniture, tiled floors, fresh white walls and lively accents of colour in the soft furnishings. 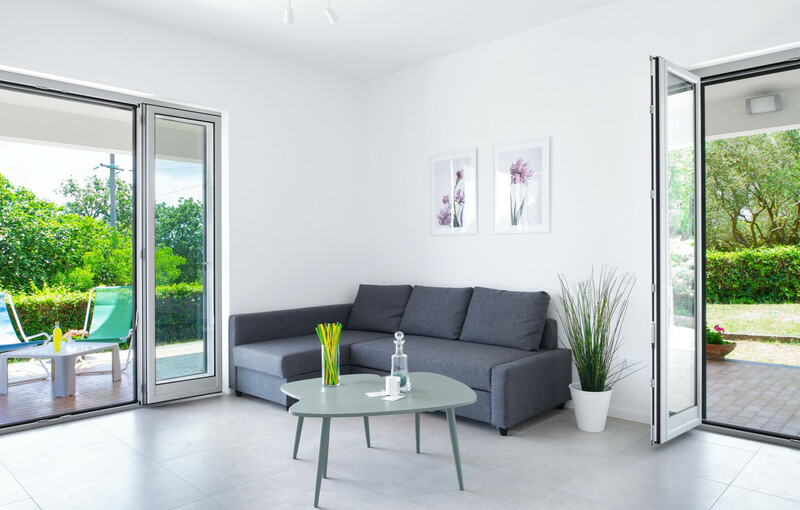 The larger villa has two bedrooms; the smaller has one bedroom. 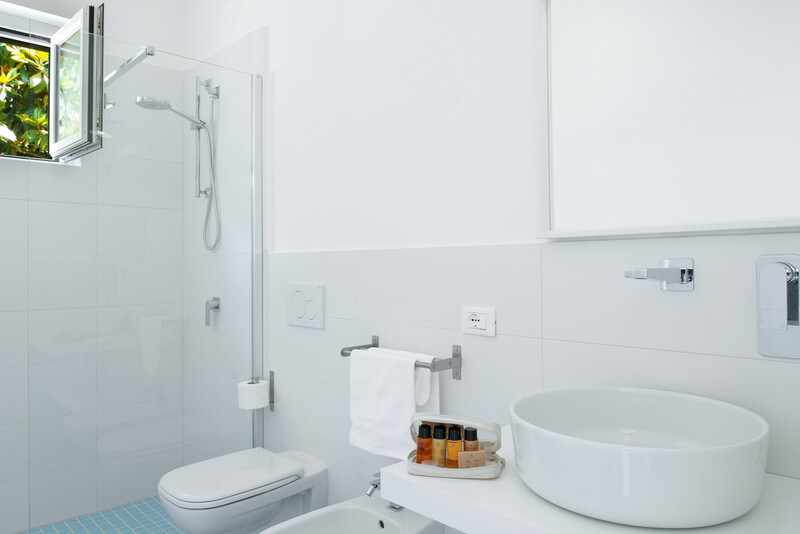 Both have generous living areas, fully equipped kitchen spaces and clean, bright bathrooms. 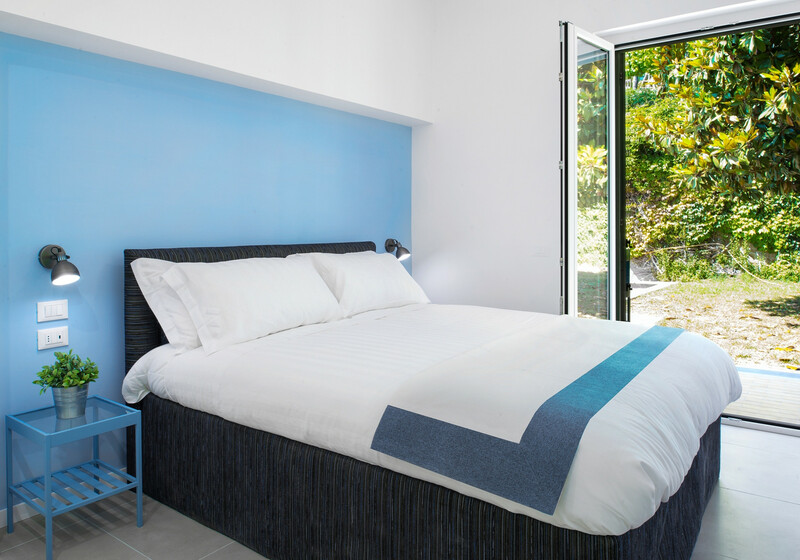 The smaller villa has a sofa bed that sleeps two; this makes for comfortable, flexible accommodation, ideal for two families, families with teenagers, or groups of friends. The villas are surrounded on three sides by a well-planted garden and a shady, covered veranda. 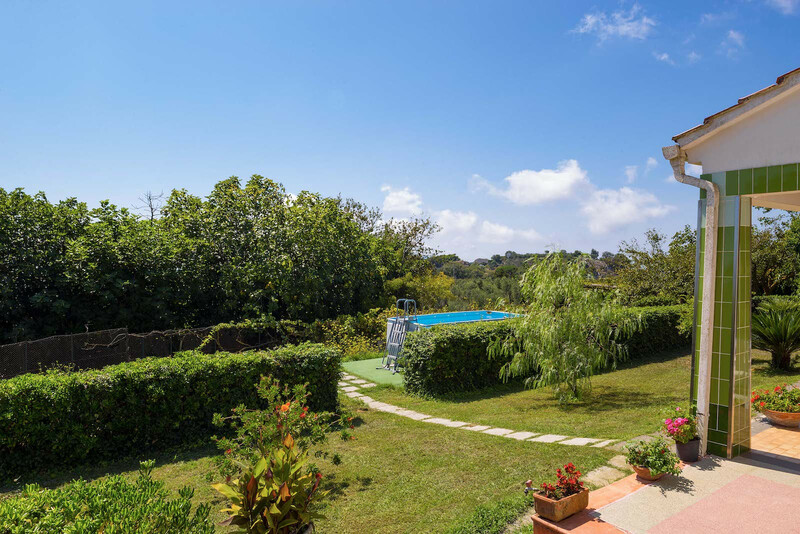 Sitting in the heart of the breath-taking Sorrento countryside, this property is perfect for walking holidays. 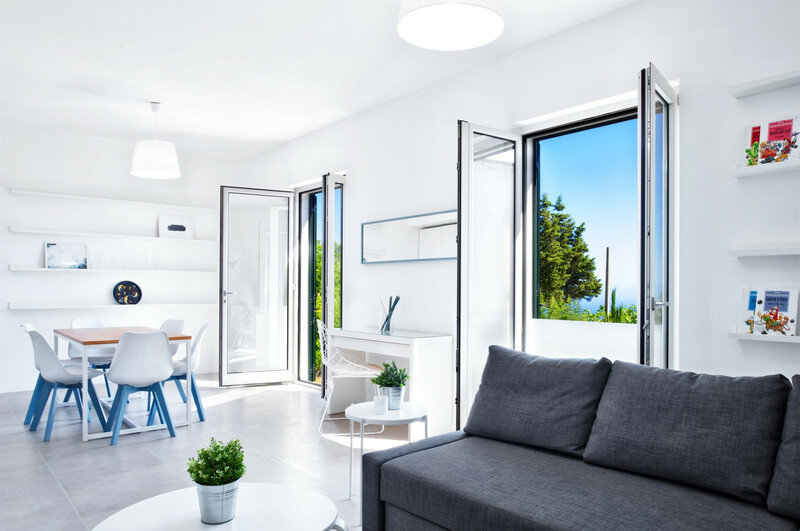 In both villas, the light and airy hallways give onto bedrooms and bathrooms with a large, sociable living space at one end. These spacious and relaxing rooms have good-sized, comfortable sofas, handy desk spaces and generous dining tables. 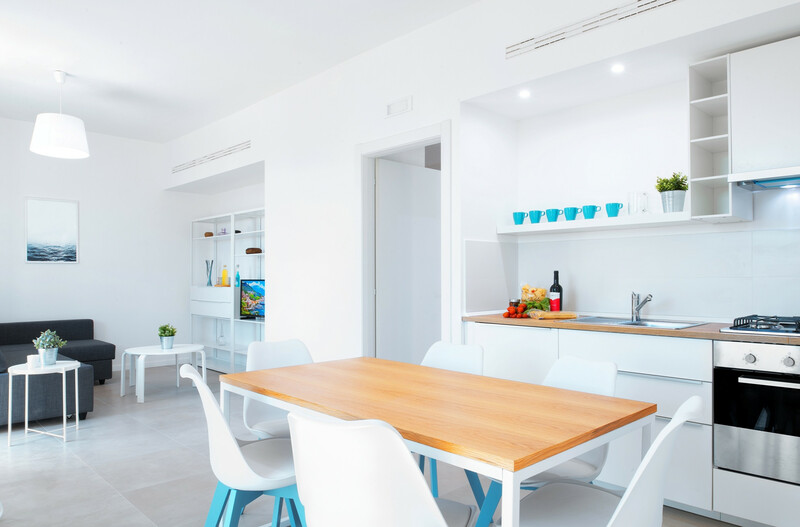 The well-equipped kitchen areas are perfect for preparing and cooking our delicious local produce, each with an oven and hob and fridge, and one with a dishwasher. 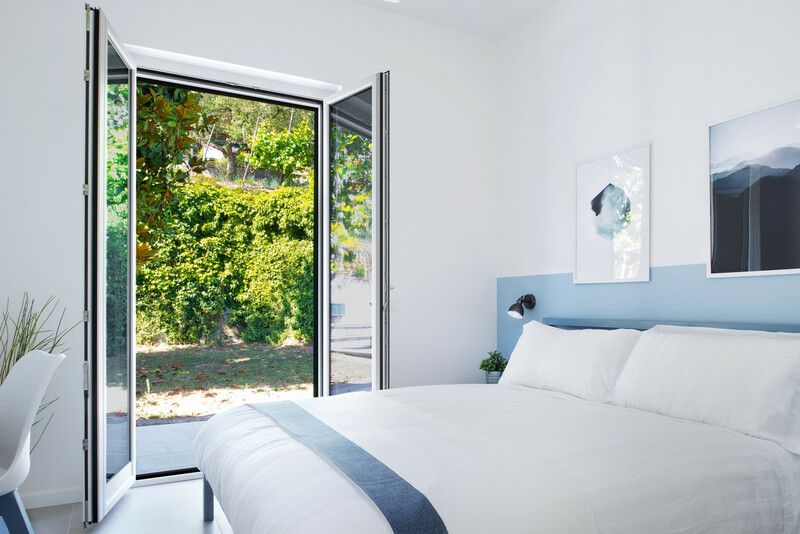 The sister villas are cleverly accented throughout; the larger villa in fresh blue and the smaller in calming green. 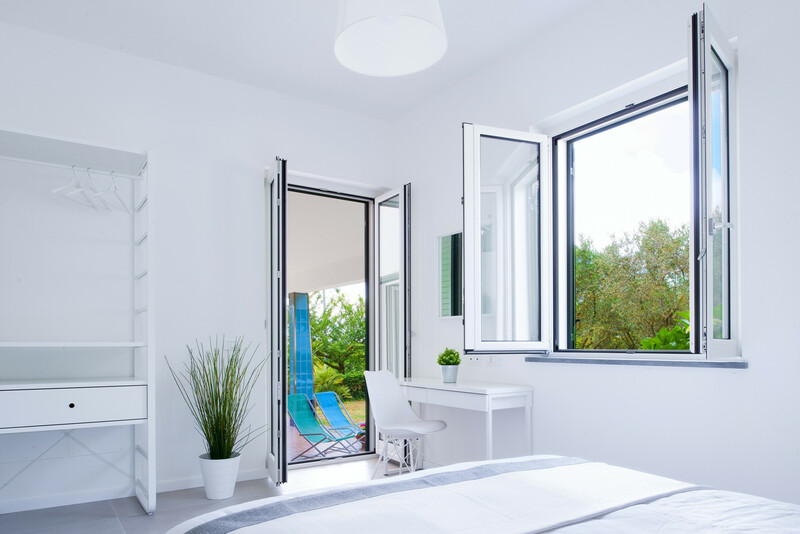 Each bedroom has a comfortable double bed, made up with crisp, white linen; ample hanging and drawer space; bedside tables; writing space and French windows that go straight out to the garden or the covered veranda. 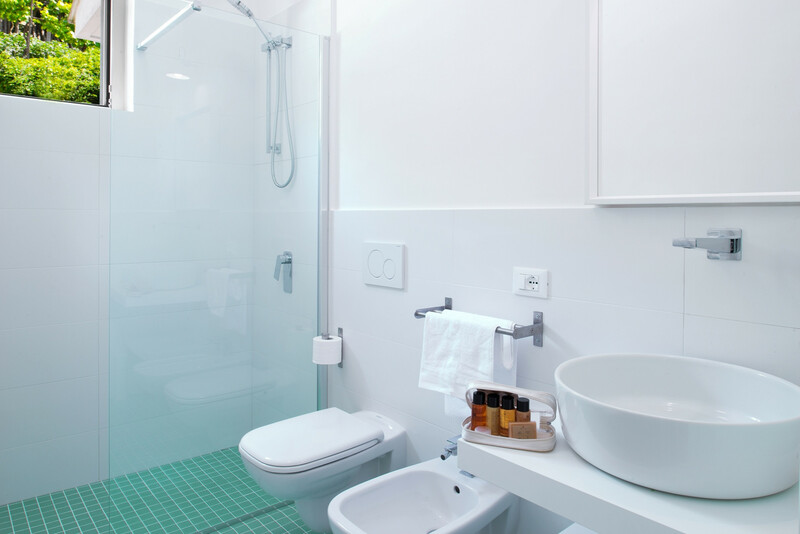 The bathrooms are beautifully tiled in blue or green and are stylishly fitted with a generous shower, sink and bidet. 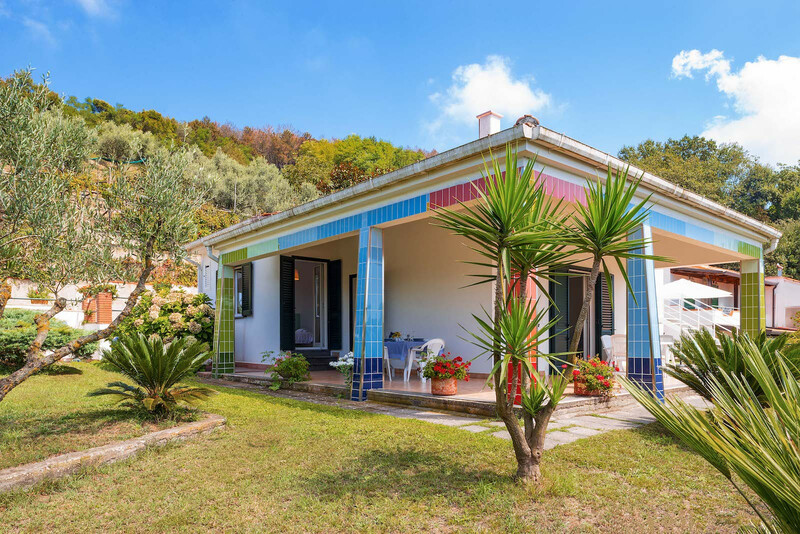 From the parking area – full of overflowing flower pots – the villa is accessed by several outside steps and boasts a shady veranda on three sides – perfect for eating or relaxing outside – and steps into secluded, grassed gardens. Relax in the hammock, enjoy a dip in the free-standing swimming pool or cook local seafood on the barbecue. There is also a small playground for children. 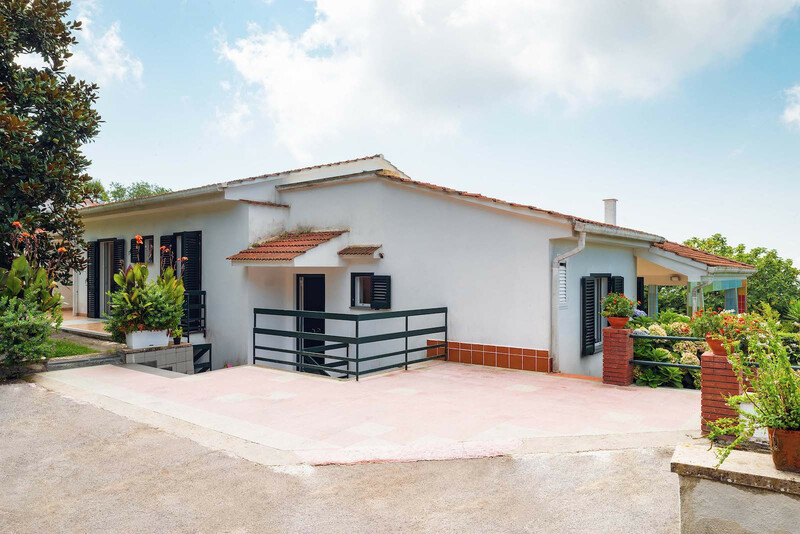 TV, garden, garden furniture, terrace, barbecue, iron, internet (Wi-Fi), hair dryer, 120 m² property, 350 m² plot, air-conditioned, private swimming pool, Open-air parking (2 places) in the same building. Amazing support from the team. 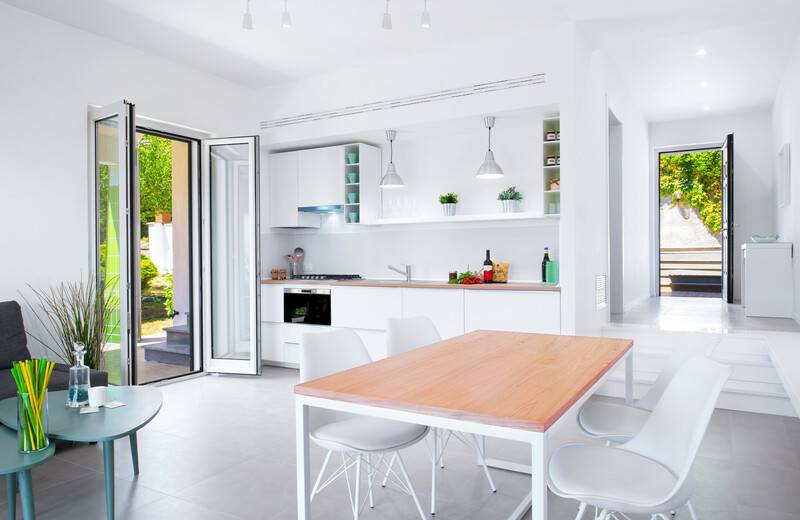 The villa was spotless and a great launch point for Sorrento and the Amalfi Coast. Will be back. The villa is two houses next to each other with a massive garden and a small pool. It was beautiful, we felt like home. The communication via feelingitaly was very smooth. You will have to pay a tourist tax on arrival in cash ( 2 euros per person and per day). The houses at all the equipment and amenities. It was a great stay and I would definitely recommend the place to anyone staying in the area.